Harry's back....again....he's actually been back a while now at The Dreadnought Leith! Catch him bi-weekly on Friday's from 7.30pm-9pm. 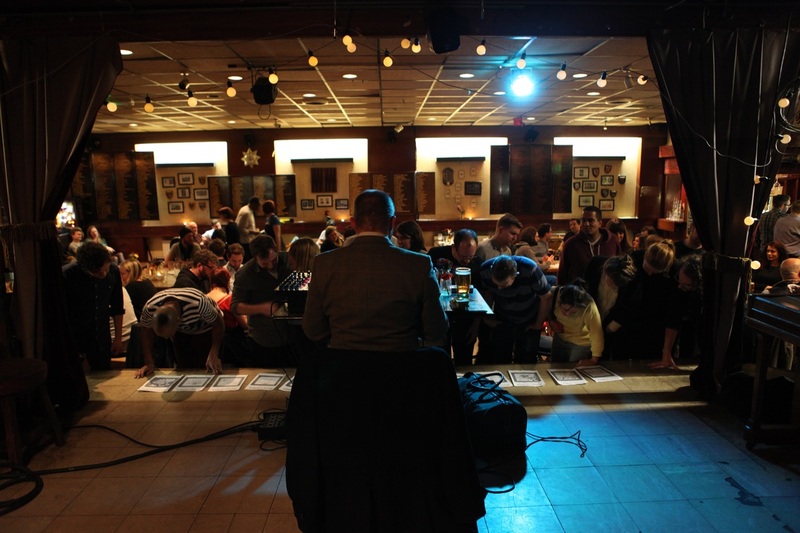 All good things must come to an end and it's only now, a couple of weeks after the last Harry's Pub Quiz at the Earl Haig Hall, that I'm able to reflect on a marvellous 8 years of London pub quiz life. 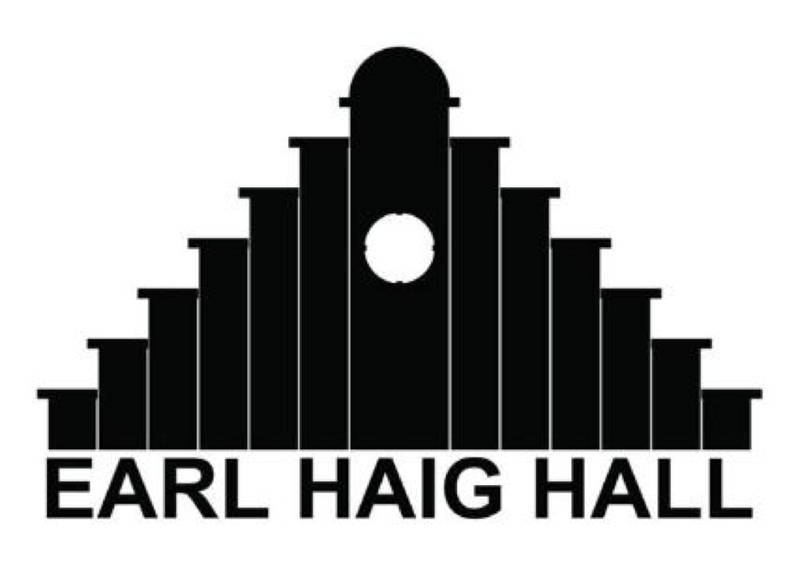 A huge thanks not only to the Earl Haig Hall but also to the Kings Head, the Landseer, the Dignity and the Catcher In The Rye for letting me share my own particular brand of quiz nonsense with your customers and staff. I've had some amazing nights, met incredible people and made very dear friends. It's time for Harry to put his feet up for a while now that he's returned to Edinburgh but never fear, he's bound to reappear...eventually. I've been Harry Ainsworth, you've been a wonderful audience, please remember, it's nice to be known, but it's even better to be known to be nice, thank you and goodnight. It&apos;s Mothers Day today and what better way to celebrate than joining Harry Ainsworth at The Landseer for another Fun House. The doors open at 6pm with a blaze of nonsense and mirth before the quiz kicks in at 7pm. We&apos;ve got prizes galore to give away tonight so get yourselves down to the Fun House for the Mother of all quizzes! 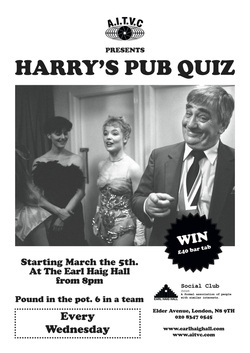 Calling all our Australian cousins, it&apos;s an Ozfest at Harry&apos;s Pub Quiz at The Earl Haig Hall tonight from 8pm. Join Harry for a Spicks and Speckstacular as he travels down under with a tucker bag full of Ozzie related questions and games for our antipodean allies. Come one, come all for a chance to win a £40 bar tab, a rollover starting at over £100 and a host of tat from Harry&apos;s infamous bag. 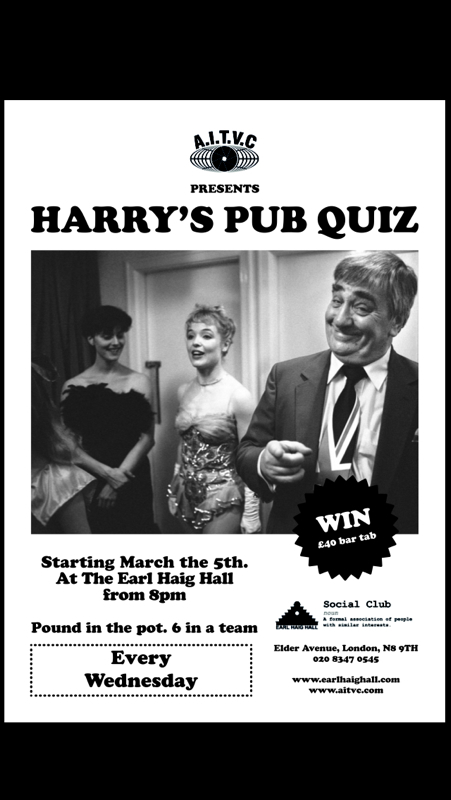 ...and Harry will be officially back in Crouch End with his brand new quiz at the Earl Haig Hall. Only £1 to play with 6 to a team but a cracking £40 bar tab to be won each and every week! 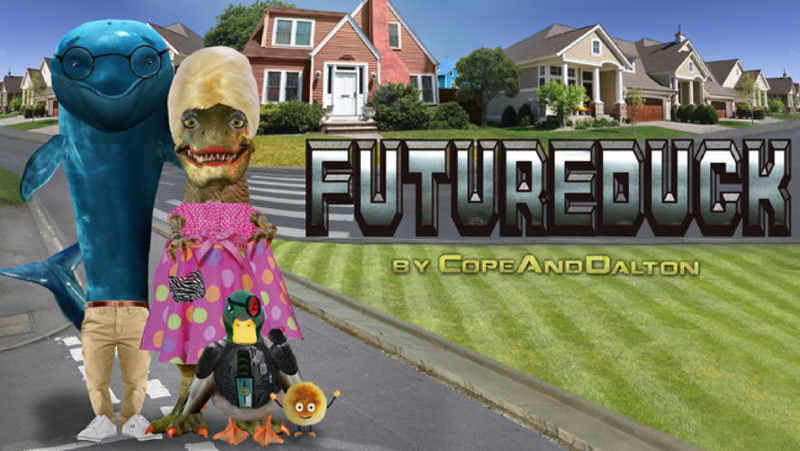 The party starts on the 5th of March at 8pm and every Wednesday after that. That&apos;s right folks, everyone&apos;s favourite Uncle, the original Uncle Harry Ainsworth is back quizzing up a storm at the Earl Haig Hall every Wednesday at 8pm from the 5th of March. Still only £1 to play with 6 to a team and a star prize of £40 bar tab each and every week. Throw a rollover and Harry&apos;s patented prize bag into the mix and you&apos;ve got all the ingredients for a cracking night out. Share the message, retweet the news cos Harry&apos;s back with a bang at a brand new venue and almost new rounds. It&apos;s nice to be known but it&apos;s even better to be known to be nice...Uncle Harry&apos;s back in town! 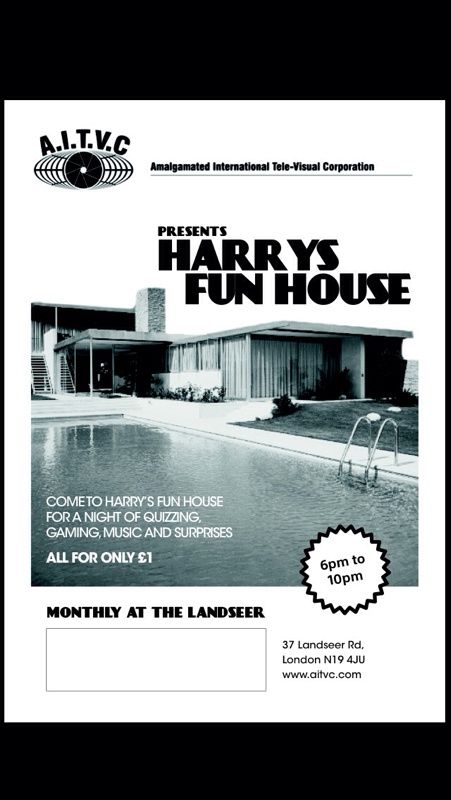 Presenting the poster for the first Harry&apos;s Fun House at The Landseer on Sunday the 23rd of February from 6pm. There will be all manner of quiz fun and party games to play. Open the doors, tell all your friends to join you and let&apos;s make it a night to remember!